Solid, durable, all steel constructed. 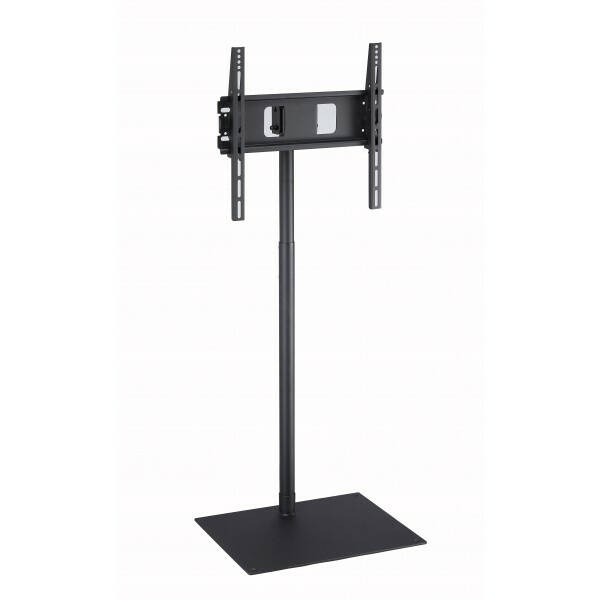 TV Mount height adjustable TV floor stand. 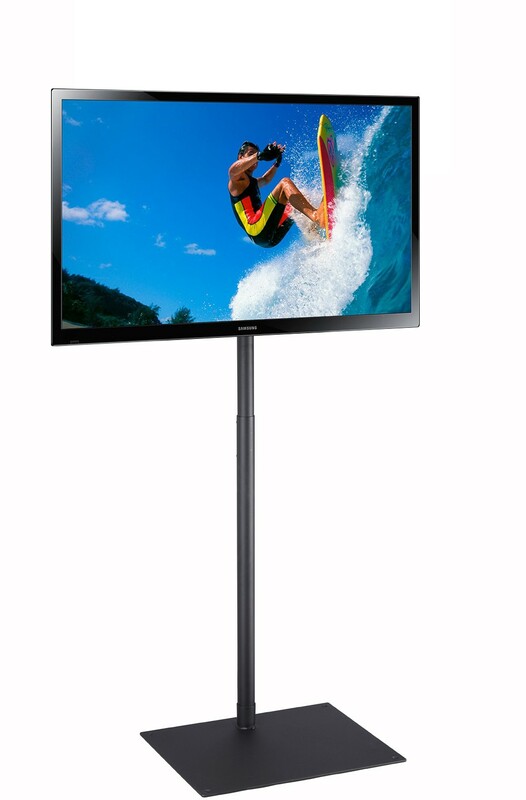 Recommended for up to 55" flat panel TV. Ship UPS or FedEx ground. 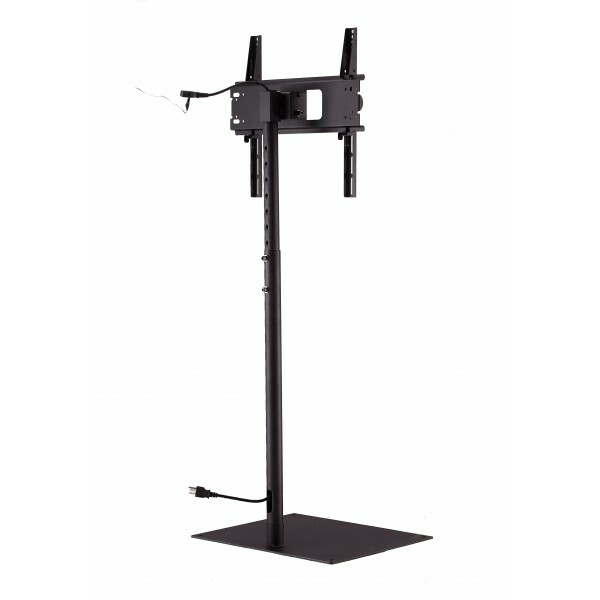 (TV in the picture is not included). 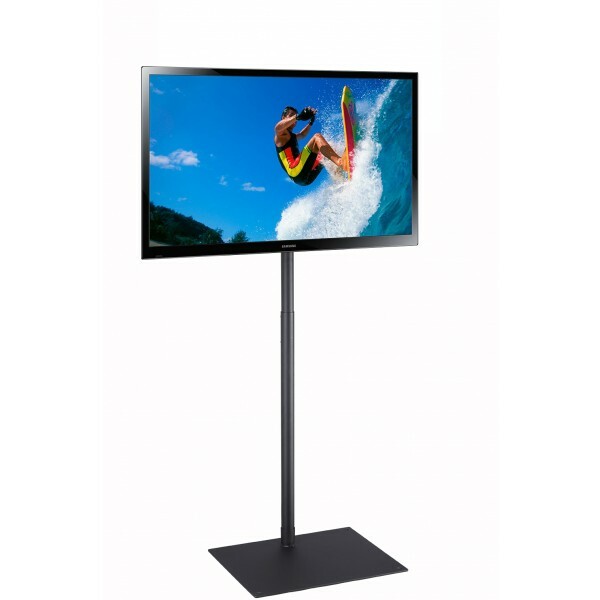 The stand can be used as a free standing stand or bolted on the floor as a fixed stand.